inscription for a day of Victory Day. The main curator of the books edition rabbi Menachem Barkahan. In the process of creation of project and as a member of the edition board participated Dr. hist.Grigory Smirin (recently died). 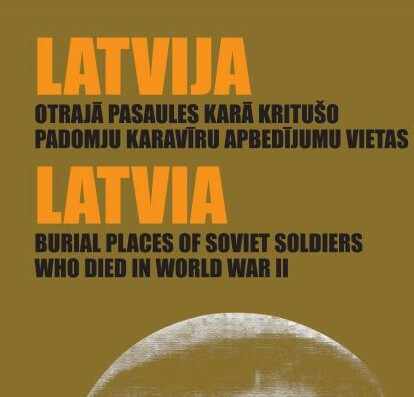 All materials are researched with cooperation with embassy of Russia in Latvia and printed by “Latvijas karte”. Text is presented in Russian, Latvian and English languages. It is possible to find a time of burials, numbers of burial places, numbers of recognized burial places, as well as translated epigraphs on the burial monuments. The is a great success and good will of the international diplomacy.